Gary Lee Vincent was born October 8, 1974, in Clarksburg, WV, USA and is a graduate of Fairmont State University and Columbus University. Gary is an accomplished author, musician, actor and entrepreneur. 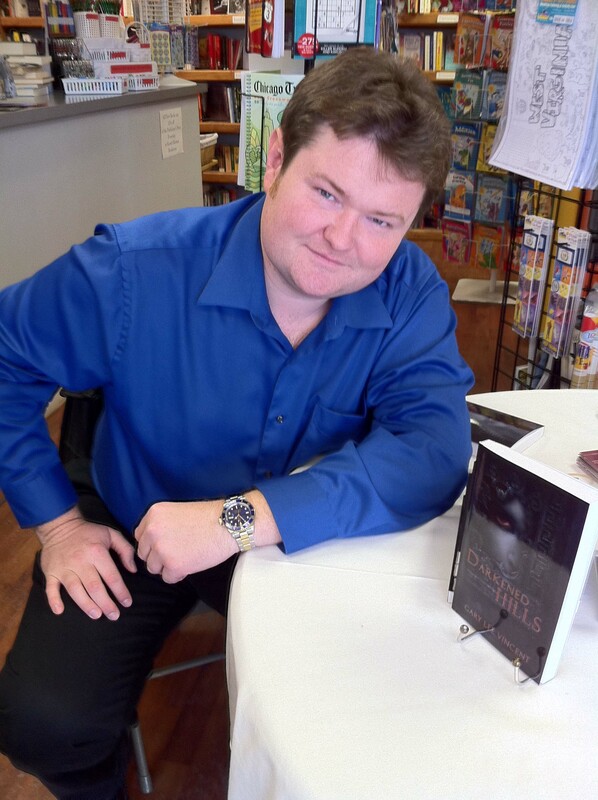 In 2009, he founded Burning Bulb Publishing to help promote up-and-coming authors. He is also Co-editor of The Big Book of Bizarro, a collection of 57 short stories by various authors and several other anthologies. In 2010, his horror novel Darkened Hills was selected as 2010 Book of the Year WINNER by Foreword Reviews Magazine. Darkened Hills also became the pilot novel for DARKENED – THE WEST VIRGINIA VAMPIRE SERIES, which includes the follow-up novels, Darkened Hollows, Darkened Waters, Darkened Souls and Darkened Minds. More information on this can be found at www.DarkenedHills.com. Gary can frequently be found doing live appearances across the United States, which he appears with fellow horror celebrities such as John Russo (author of Night of the Living Dead), actors and authors from Burning Bulb Publishing. For dates, etc. visit Gary’s official website at www.GaryVincent.com and click News. As a musician, he started into vocal music early in life through choral programs at both church and school. While in High School, he was honored as an All-State bass vocalist. Gary began playing the guitar and writing songs at age 13 and attained BMI accreditation at age 14. He won a Billboard Music Review award at age 23 for the hit song Jumpstart My Heart, from his album Passion, Pleasure, & Pain. In 2005, Gary won Song of the Year for best Christian song Where Would I Be in the VH1 Song of the Year competition, a program that supports the VH1 Save The Music charity. Said song appears on Gary Lee Vincent’s Somewhere Down The Road release. As an actor, Gary starred in his first movie role in the feature film Belly Timber, where he starred as George Pogue. This project also afforded Gary the opportunity to co-author the project’s novel with John Russo and Solon Tsangaras based on the film’s screenplay by Dustin Kay and Ken Wallace. Gary also starred as a church member in the feature film Endor, starred as Oscar in the feature film My Uncle John is a Zombie, and played himself in the feature film Ayla. He has also appeared in The Goddess. In addition to literature, music and acting, Vincent’s hobbies include exotic travel, hiking, and photography.